They say that clothes are what makes a man, but how much of that saying is actually really true? Guys can always buy new clothes, but there’s nothing like a nice, well-groomed haircut. 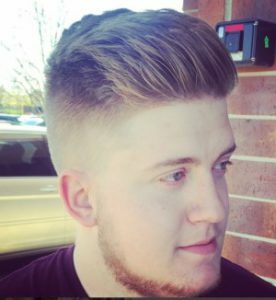 Most guys tend to like a men’s cut that is effortless and low maintenance. However, haircuts that are trendy with a lot of personalities will keep a lady on the edge of her seat. Knowing which style looks right on you is the key to a successful haircut. If you’re looking to “woo” girls with your charm, you’ve come to the right place. Below is a list of preferred men haircuts by women. The Messy Hipster: The messy hipster is a style that almost all women love. 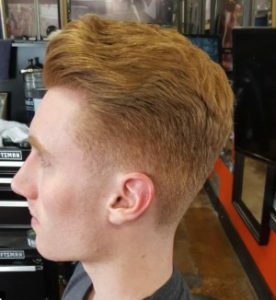 Styled with a wax or pomade, this haircut is fairly popular and will have all of the girls staring. Long Hair: it’s just something about a guy with long hair–no matter the length. When done correctly, this hairstyle can open up a new door of possibilities and allow for you to follow a different set of rules. Soft, Wavy/Curly Cut: Not only do the ladies think that it’s hot, but they also love to touch it. Curls are fun to play with and running fingers through soft wavy hair is like feeling cashmere–both are a must. The Shaved Head: Not everyone can pull off the bald look, but if you decide to get this cut, own it. Your self-esteem is what adds character. The more confident you are in your look, the more attractive you will appear. And trust me, women love a man with boldness. The Buzz Cut: Let’s face it, women can’t resist the feeling of rubbing their hands through a guy’s soft buzz cut. Getting a buzz cut is a cut that will show off your eyes. Looking To Make Changes In Your Hairstyle? Are you tired of the same old look and are looking for a change? Allow the ladies at Hair Mechanix to give you a makeover that will have the women turning their heads. Upon visiting us, check out a few of our preferred men haircuts to see which one will suit you best. Having trouble deciding? No problem! We’ll be there every step of the way. For more information regarding preferred men’s cuts, contact us today.